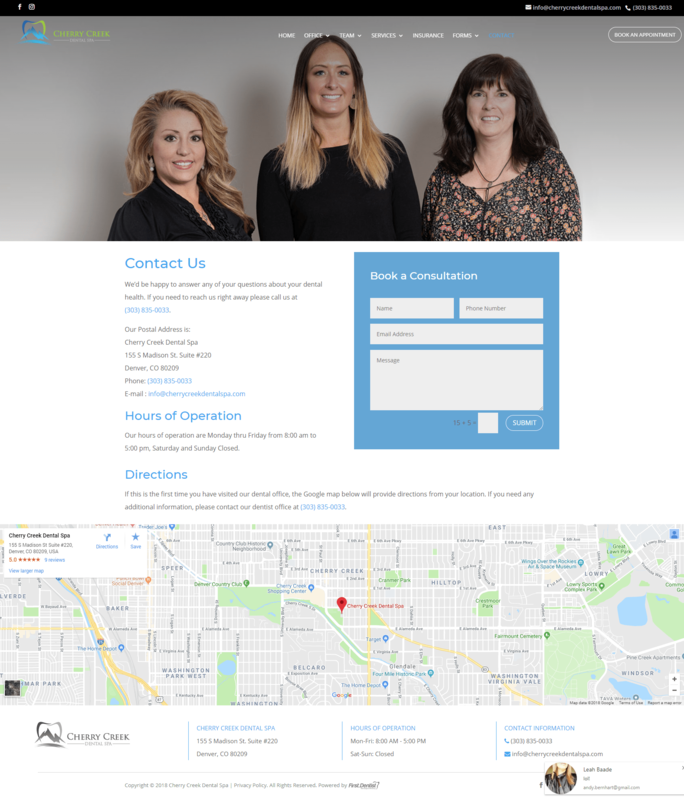 Melissa Goodpaster was opening an upscale dental spa in Cherry Creek when she contacted First.Dentist. 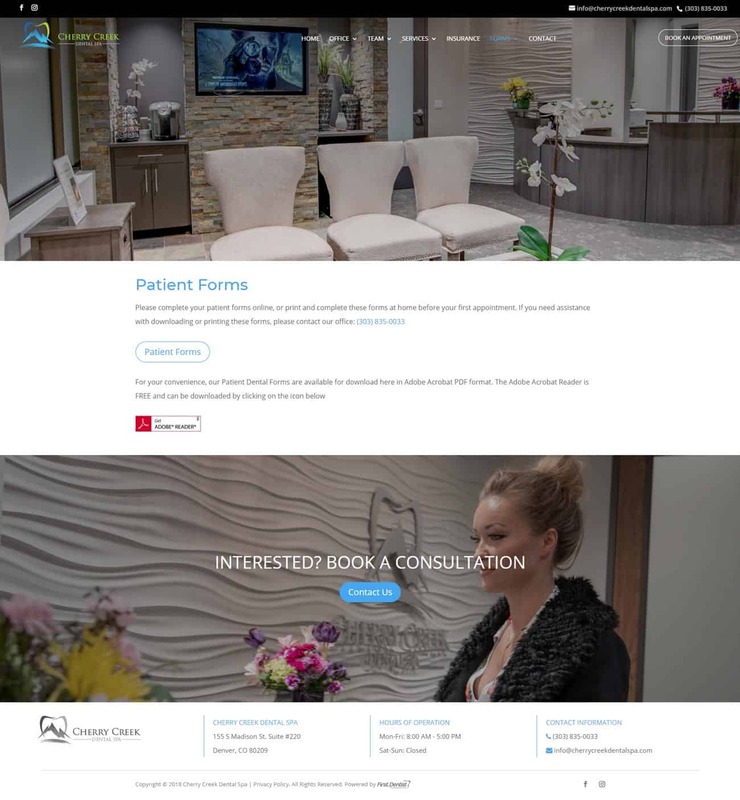 Dr. Goodpaster wanted a website that could showcase the beautiful renovations and appeal to a sophisticated dental demographic. First.Dentist created a visually stunning showcase of Dr. Goodpaster’s new dental spa in Cherry Creek, Colorado.